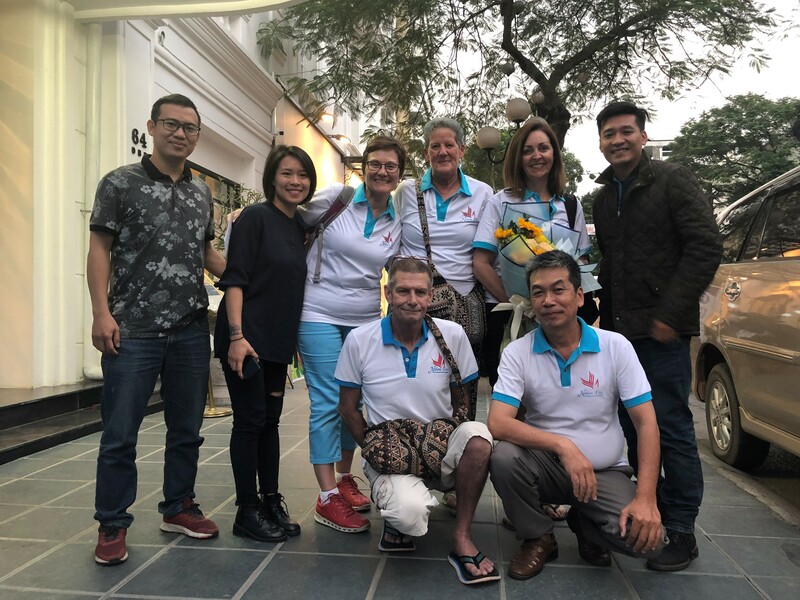 On November 21, 2018 our Family Support Co-ordinator Simone Baird and 3 other volunteers from Perth and Melbourne visited Hai Phong, Vietnam to work with a charity group known as Niem Tin and the EB community. Representing DEBRA International and the EB Without Borders program was an absolute honour and an amazing experience which will be remembered forever. Over 4 days we were able to carry out 3 home visits involving 7 children and we also held a clinic which consisted of approximately 25 EB families. 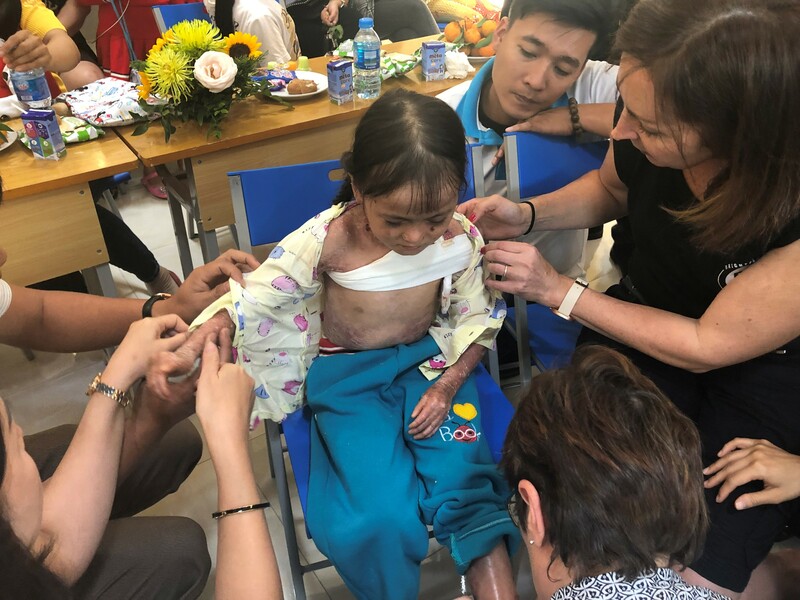 During clinic we debrided wounds, lanced blisters, dressed wounds, addressed oral hygiene issues and bandaged webbed fingers whilst educating the families on certain dressings and recommended EB nutritional requirements. Some of the families could only afford to feed their children twice daily, therefore the children had poor growth from lack of nutrition. The language barrier was an issue however we had 2 interpreters who were most valuable with our family contact. We also sorted dressings and packed show bags for the families to take with them after clinic. The show bags consisted of various types of dressings which suited the type of EB the patient had, as well as a soft toothbrush, milk supplement drinks, topical gel / creams for wound care and bandages. The home visits involved 7 EB patients and their parents. These patients had different types of EB ranging from mild to severe, SEB to RDEB. The eldest patient was 30 years old and the youngest was 3. One child in particular was so unwell that we sent him to hospital. At that point his EB was secondary to his 39.5 degree temperature and he had more pressing issues at hand. 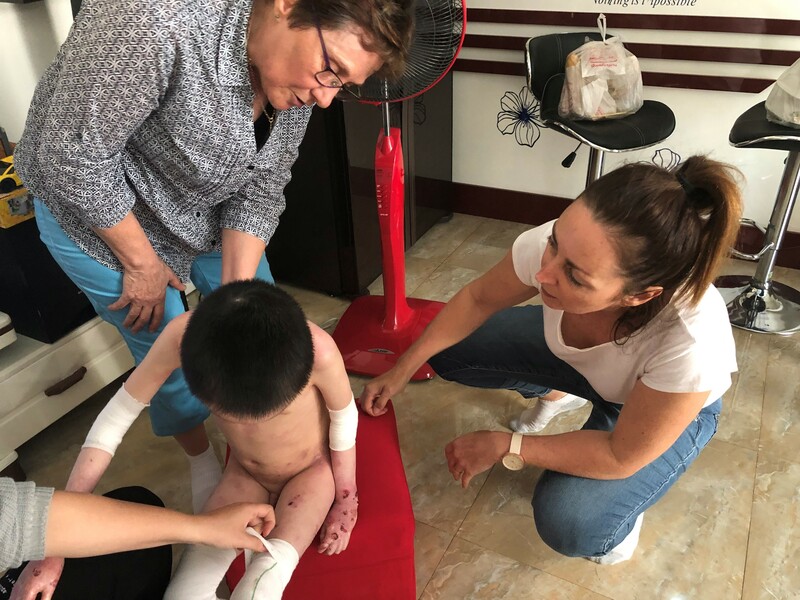 The remaining home visit patients were shown how to care for their wounds and were given suitable dressings to meet their circumstances. 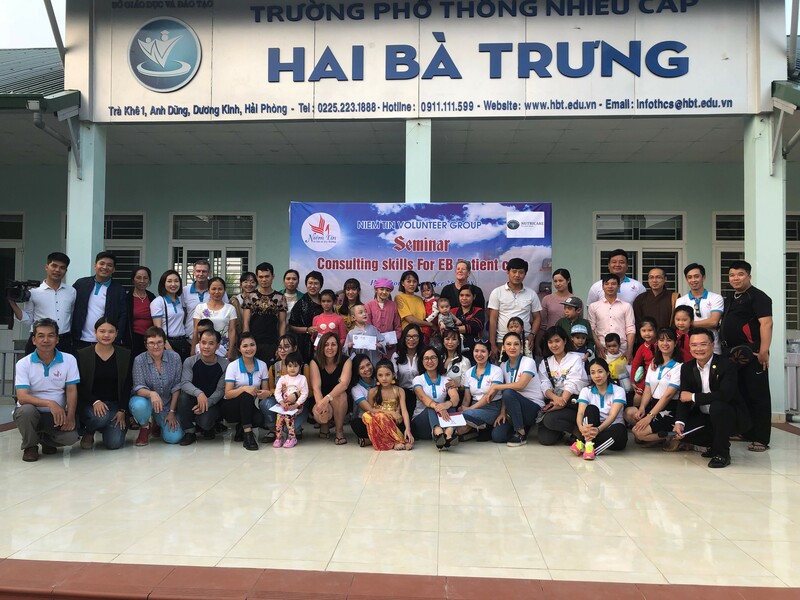 This program provided the Vietnamese EB community with much needed education and supplies, and also provided them with knowledge and resources to continue on with adequate wound care over the next few months. We look forward to helping more overseas families in the future via the EB without boarders program.